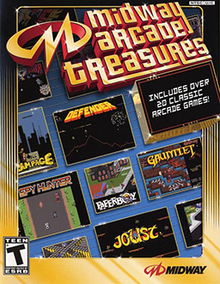 Midway Arcade Treasures (2003 - PlayStation 2, Xbox, GameCube - Digital Eclipse & Midway Games) doesn't live up to the excitement it implies. It does pack enough uniqueness and nostalgia for its low price to merit a place in many collections. Compilations should be held to different standards, and this one scrapes by as decent.